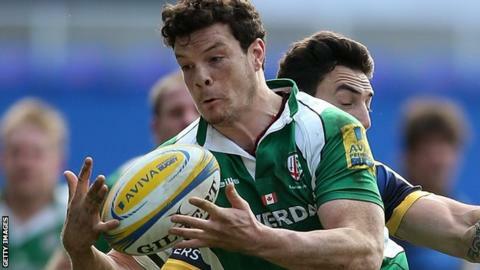 London Irish versatile back Ciaran Hearn has extended his contract at the club until the end of next season. Canada international Hearn initially joined The Exiles until the end of this campaign following the World Cup. Hearn, 29, scored a try in the club's 20-13 win against Worcester and has made six Premiership appearances since his debut in December. "I've enjoyed my time here so far and am delighted to be staying for next season," he said.